You might end up adding a event log to OMS but the events from that log not appearing in OMS. 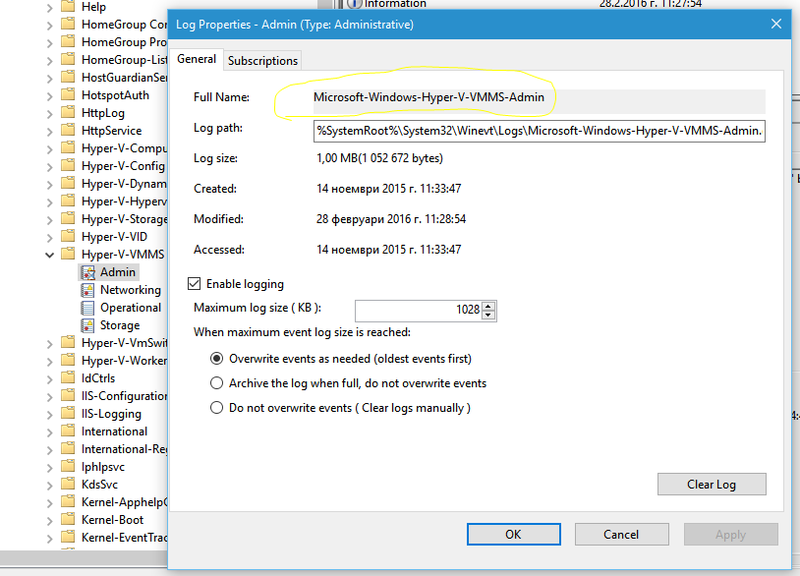 Let’s say you want to add the Admin event log for Hyper-V-VMMS. In that case you will usually go to Event viewer and find the needed log. After adding it of course you may have to wait 5 to 10 minutes until events starts showing up in OMS Search. Keep in mind that also new events have to be generated in order to be fetch by the OMS agent. We can clearly see that the event log with that name cannot be found. So where is the problem than? The problem is that not always the Log name is also the Full Name of the log. How to find the Full Name? After that everything should be ok. Remember always check for the full name when you add event logs.